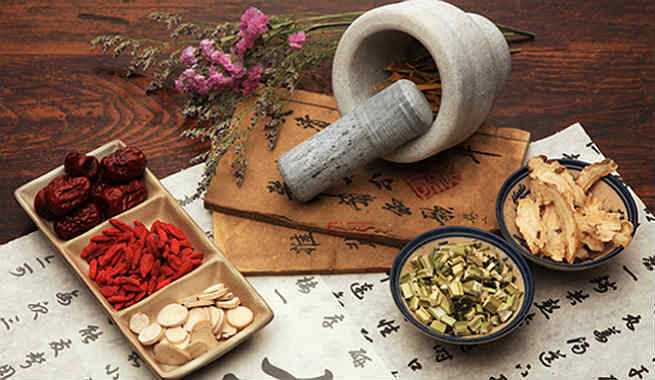 How Do Chinese Herbs Work For Hair Loss And Restoration? They treat the liver and kidney ‘yin’ (a certain part of the ‘energy twin’ regulating the normal functionalities of our body) deficiency, which aids in the rejuvenation of hair fibers by stimulating the hair follicle. They help in eliminating toxic heat (buildup of toxins) from the body through strong detoxification, which eventually activates the hair follicles and promotes hair growth. They improve the circulation of blood throughout the scalp, thereby increasing blood flow to the hair follicles. This nourishes the hair roots by providing sufficient nutrients and oxygen to them, which stimulates the regrowth of hair. He Shou Wu (Polygonum Multiflorum), also popularly known as Fo-Ti or Polygala Vine, is considered as the most effective Chinese herb for hair loss prevention and hair restoration. Its age-long popularity is nothing but the reflection of its efficacy in boosting blood circulation, nourishing hair roots, strengthening hair fibers, stopping hair fall, promoting the growth of new terminal hair strands, preventing premature graying, restoring the natural color and shine of hair fibers, and so on. Due to its unique restorative properties, he shou wu is also classified as a tonic herb in the Traditional Chinese Medicine (TCM). Nu Shen Zi (Ligustrum Lucidum) is primarily known to be a Yin tonic for liver and kidney that eliminates toxins from our body and helps in making our immune system more powerful. As a result, our blood is purified and the circulation is improved all through the scalp, which eventually prevents hair loss, treats bald patches, and encourages the growth of new hair. Wu Wei Zin (Schisandra Chinensis), a highly appreciated beauty-enhancing Chinese tonic herb, has found its use as a natural cure for baldness too. It purifies blood, boosts circulation, nourishes the hair follicles, and finally activates them, which contribute to regrowth of hair, faster hair growth, and improved hair texture. Reishi mushroom (Ganoderma Lucidum), also called the ’mushroom of immortality’, is one of the best Chinese herbs that efficiently cure folliculitis (the condition in which boil-like, whitish structures are formed around the roots of hair strands). 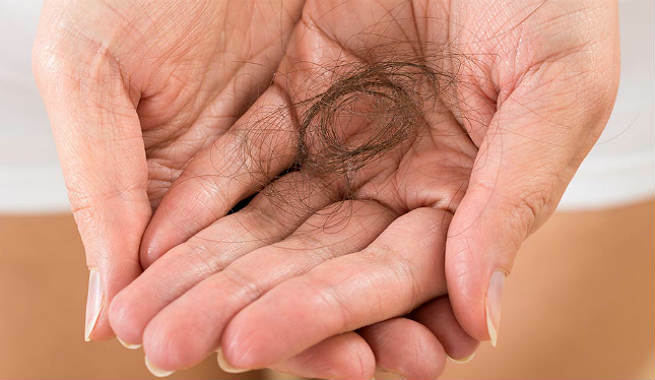 Consequently, we get rid of scalp itchiness, which is often known to be the cause of excess hair fall. It also enhances the flow of blood throughout the scalp significantly. Ginseng (Panax Ginseng) is another classic Chinese herb that treats hair loss by increasing the supply of blood to the hair follicles. It promotes the metabolism of the follicle cells and makes them well-nourished, which is very much required for the regrowth of the lost hair. Gotu Kola (Centella Asiatica) is not only beneficial for our health but it also has immense positive effects on our hair. The herb treats alopecia in males (mostly known as ‘male pattern baldness’) successfully by improving blood circulation in scalp and stimulating hair growth. 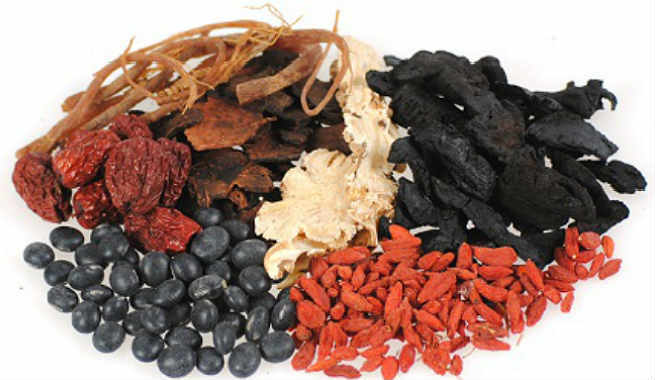 Apart from these 6 popular varieties, there are many other effective Chinese herbs including Thallus algae (seaweed), Morus Alba (white mulberry), Urtica Dioica (stinging nettle or common nettle), Rehmannia Glutinosa (sheng di huang), Chinese wolfberries (goji berries or lycium berries), Angelica Sinensis (dong quai), Ligusticum Wallichii, Eclipta Prostrata (yerba de tago or false daisy), Cacumen Platycladi (Ce Bai Ye), Sesamum Indicum (hu-ma or sesame seeds), Huo Ma Ren (hemp seeds), and Salvia Miltiorrhiza (Chinese sage or tan shen), etc., which also possess natural hair fall control as well as hair restoration properties.